For residential real estate in 2017, the news has continued to provide a relative sense of calm for both buyers and sellers, according to NTREIS. The national unemployment rate registered in at 4.1 percent for October 2017, which means that joblessness has not been this low in the U.S. since December 2000. Another positive, mortgage rates have held steady at or near 3.9 percent. Historically, the average rate has been around 6.0 percent. These factors help to keep the pool of potential buyers full, even during the so-called off-season of home sales. New Listings were up in the North Texas region 6.7 percent to 11,359. Pending Sales decreased 3.6 percent to 8,144. Inventory grew 3.7 percent to 26,631 units. Prices moved higher as Median Sales Price was up 6.7 percent to $240,000. Days on Market increased 7.3 percent to 44. Months Supply of Inventory remained flat at 2.8, indicating a stabilizing supply-demand balance. 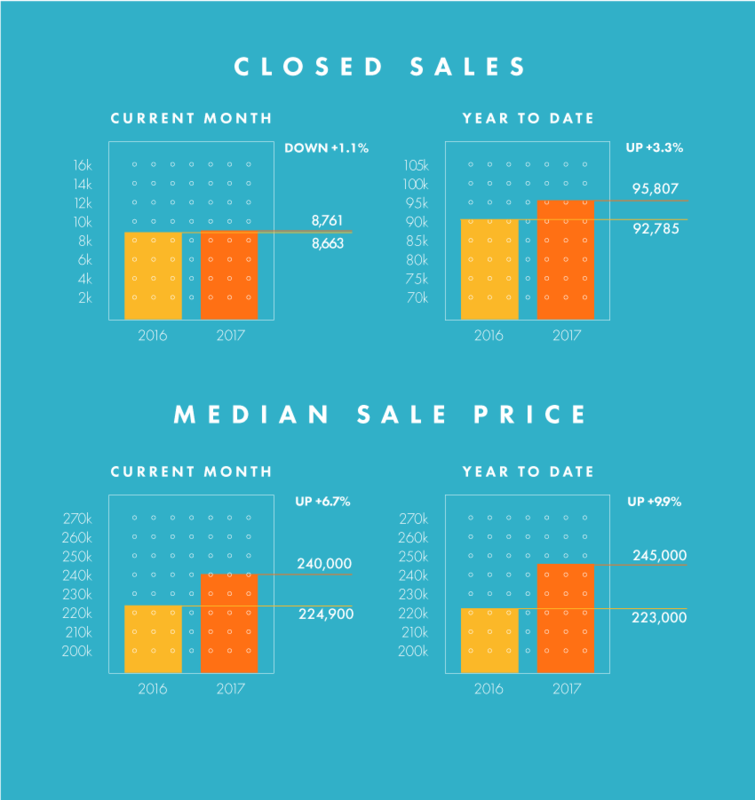 Although inventory levels are low in many markets, there has largely been enough listing and building activity, or at least conversation about future activity, to maintain a positive attitude about the prospects of buying or selling a home. Low affordability has started to become a recent topic of conversation and is worth watching. But with a healthy economy, level of demand and national unemployment rate, sellers are going to continue to see strong prices for their homes.